It’s no secret that I get suckered into buying things because of what they are named. In this case, an eyeshadow named Carinae caught my eye first. 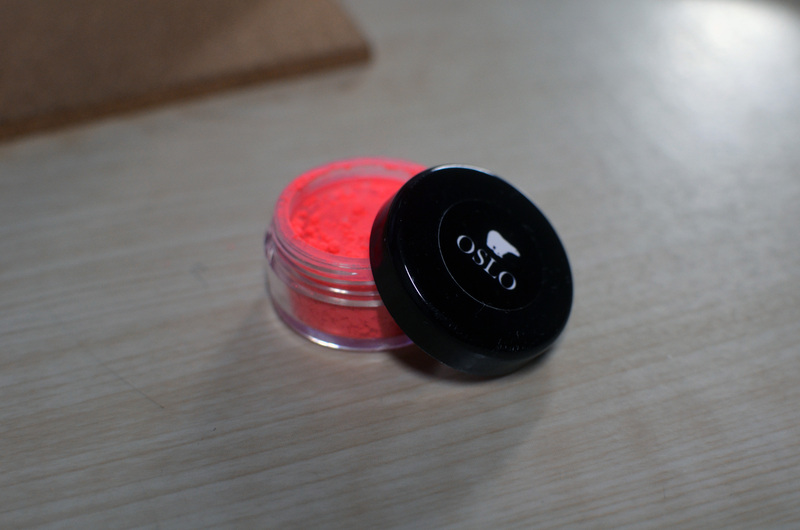 Then I found this blush by Oslo Cosmetics named Carina, for reasons that are pretty obvious. I’m not normally a bright neon makeup kind of girl, but I couldn’t pass it up. Oslo Cosmetics is a vegan and cruelty-free indie makeup company based in Columbus, Ohio. As I mentioned in my first haul/swatch post for the brand, a woman named Joyce K. started Oslo and mixes and makes all the colors. I wanted to try the eyeshadows from Oslo, especially, since they are pretty unique. Most mineral makeup is made up of loose pigments and minerals that are mostly fine. The ones by Oslo are kind of lumpy, due to added binders that actually make them really creamy to apply. 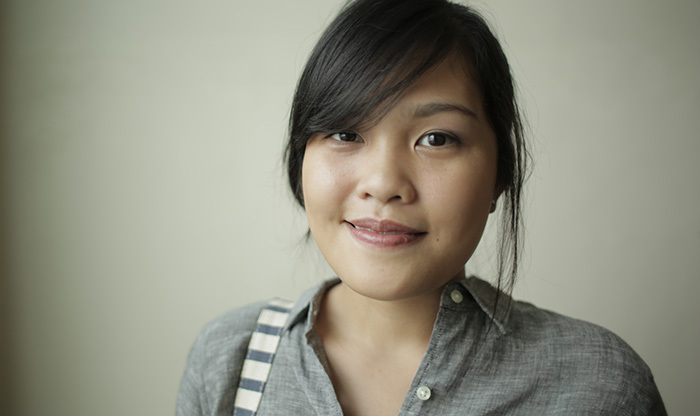 The blushes, however, are similar to the traditional texture of mineral makeup. 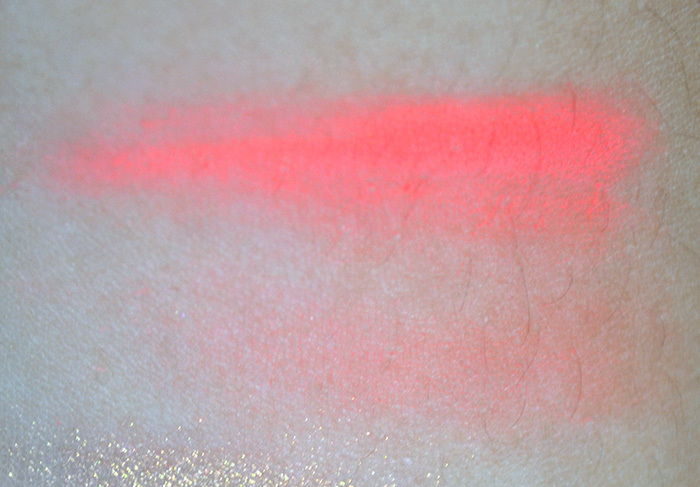 Carina is a “bright, cosmic matte red-orange blush,” which looks really scary in the pot. Though it is pigmented, it is quite hard to overapply and pretty easy to blend out, if used with a great blush brush. On the face, it can be pretty subtle. I don’t know if I’m imagining it or if I’m super-observant but on the right side (screen) of my face, you can see a slight blush and a hint of just how bright Carina is. I think it’s a pretty effect. When I first encountered this blush color with my name, I was a bit confused with the color selection. I know there are a million different Carinas in the world, but I did not resonate with this orange at all. However, I remembered that Carina, a constellation, is “several million times brighter than the sun,” and so I got it. Anyway, I’m pretty impressed with this and the rest of my Oslo Cosmetics purchases so far. It’s a great brand to look into, if you want to venture into indie makeup brands or mineral makeup. Their colors are PHENOMENAL, and I can see her vision for collections and such very clearly. Looking forward to my next Oslo Cosmetics order, though I don’t know how far away from now that is. 🙂 I’m still playing around with the shadows, but so far, I’ve worn them for three consecutive days. Oslo Cosmetics is available online. The blushes are $7 for 10g. Oslo Cosmetics is vegan and cruelty-free. This. Is such a lovely, lovely colour. And gosh, I love the eye shadow hues you got, too! Yes 😀 You can build it up to super neon, though!